The air is fresh. It’s dark. Fortunately, Joseph has worked his magic to get us an early breakfast before the start of our long journey home. Travelling time can be well spent reflecting on the trip completed, or the adventures to begin. 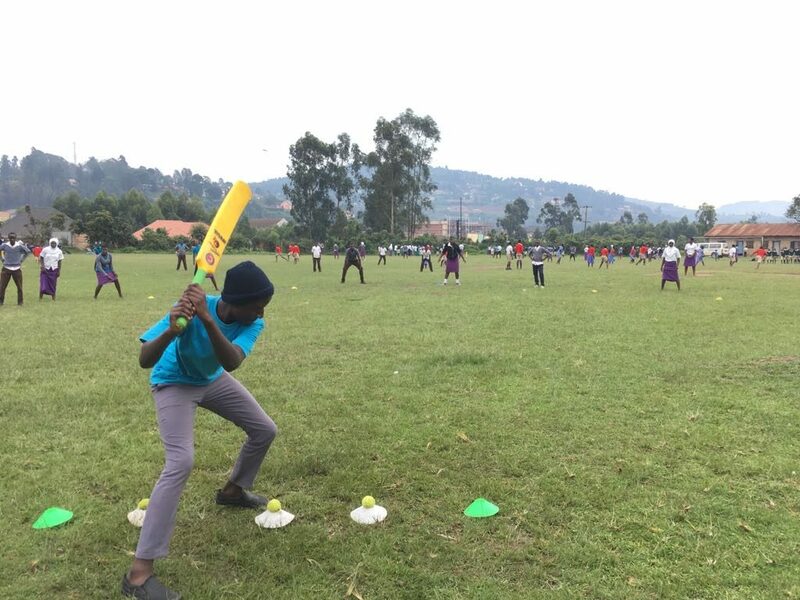 On our last full day we held our cricket festival in Kabale. There was a great turnout of 10 schools including both primary and secondary and a total of 340 children demonstrating their newly acquired rapid fire skills. 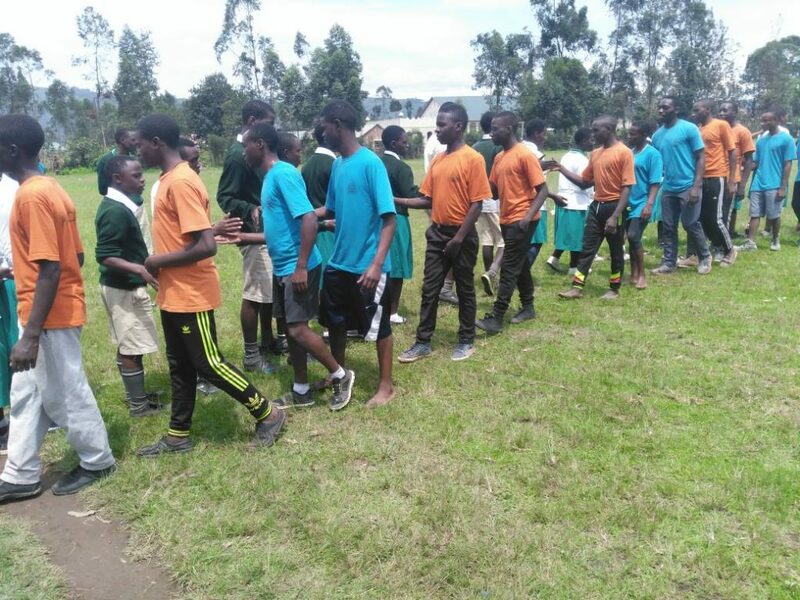 We separated the 6 primary schools from the secondary schools and completely filled the playing area organising a round robin type competition. When I found a few minutes in between innings I had the chance to look around and see the groups of children cheering on their team mates, teachers giving pep talks or encouraging the teams and all of this set against the dramatic backdrop of the green hills. Not forgetting the popcorn seller who turned up with a whole sack of popcorn, but only a handful of bags to distribute it to everyone. As usual we had arranged for a local team of health workers to provide HIV testing for children who wanted it and after each game we encouraged both the children and the teachers to head towards the testing truck. 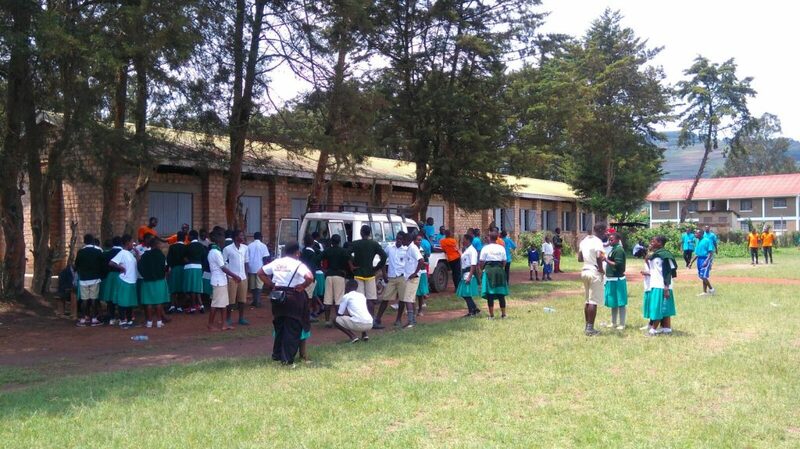 80 children took up the offer of tests and 2 were found to be HIV positive. This will be a life changing moment for them but with the counselling available we hope that they will be supported to start taking ARVs and continue to live a healthy and successful life with no stigma from their peer groups. Their families will also be encouraged to get tested and in this way, the messages and impact of what we do spreads further. Cricket was the winner that day – big thanks to Manny for organising the festival and chivvying the schools to attend. 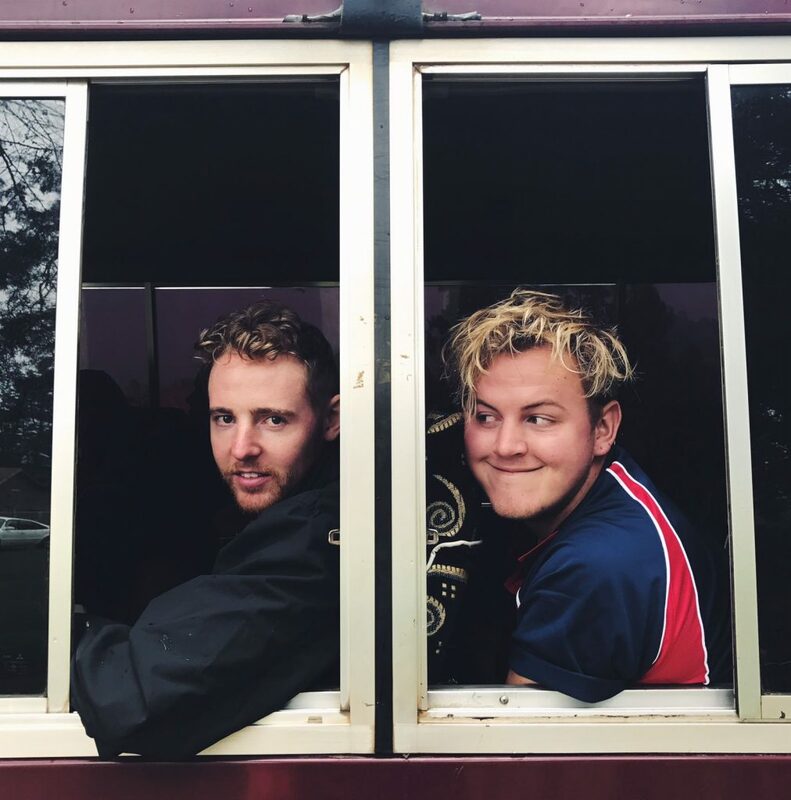 Due to lunch, the teachers were keen for the pupils to get away promptly so with a few momento photos we also hopped onto our bus celebrating a successful two weeks. 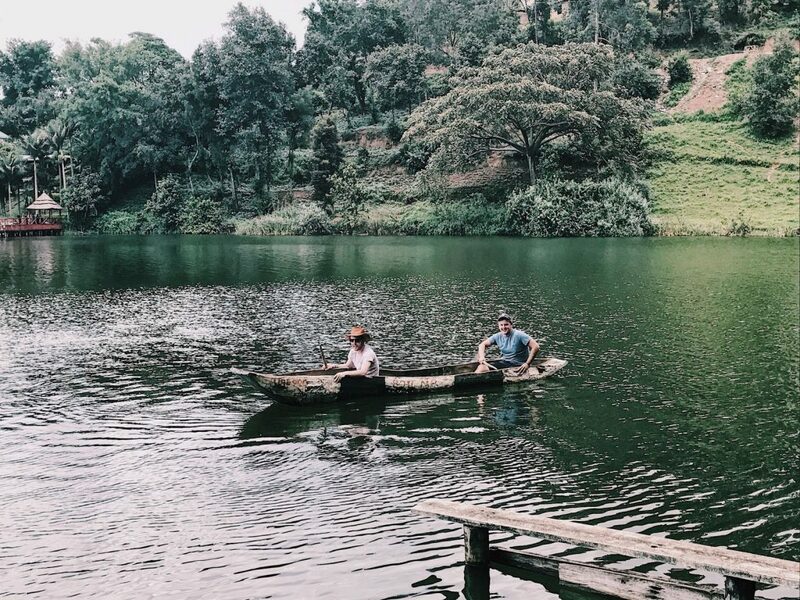 Our afternoon treat was a trip to Lake Bunyoni – Africa’s second deepest lake at 6500ft. A beautiful vista in the mountains providing a too-tempting offer of a canoe paddle for Tommy and Will. As is the way, a quick game of land vs water cricket was in order with the boys only narrowly missing out on a tumble from the boat. Much amusement and scheming from those of us on dry land. And so the journey home. 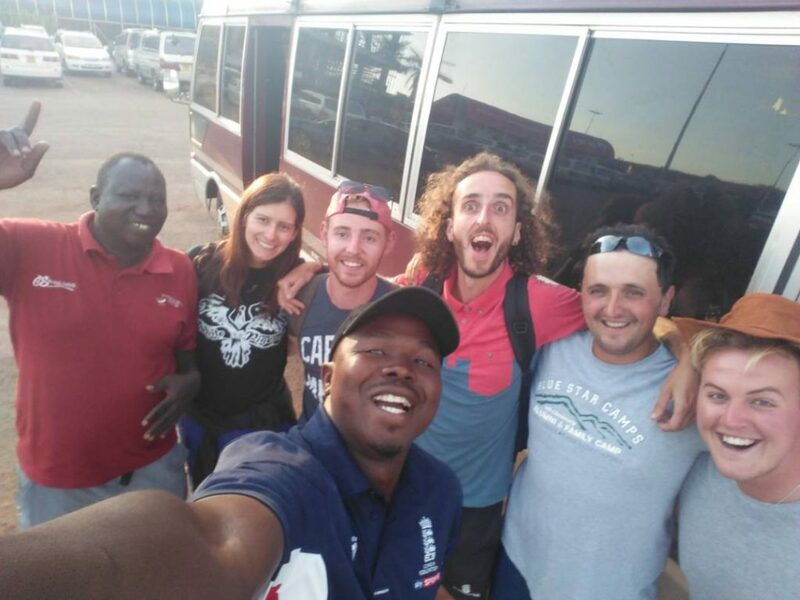 The team said some sad goodbyes as Jo and Lee headed off to Rwanda, and the rest of us were left in Joseph and Manny’s capable hands to get us to Entebbe airport – we had 13 hours to get there and our journey time was estimated to be 10 hours. 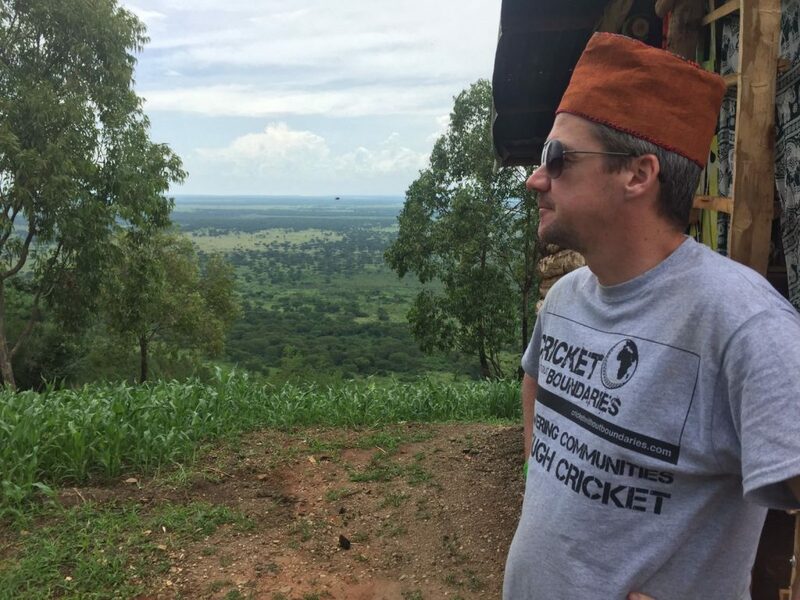 We travelled back through Mbarara and stopped at the “samosa” petrol station, passing by some of the grounds that we’d coached at causing me to reflect on the similarities and differences that we’d seen in the three locations on our trip. There were differences in the segregation of girls and boys, with more deliberate attempts needed in the south of the country to mix up teams. The level of English and knowledge of ABCT messaging varied across each of the areas that we coached in and the schools and landscapes changed considerably between urban and rural areas. But I like to focus on the similarities – both within Uganda and with the UK. Without exception, the joy that the children got from a simple tennis ball, particularly from those who were shy, or not sure whether to join in. 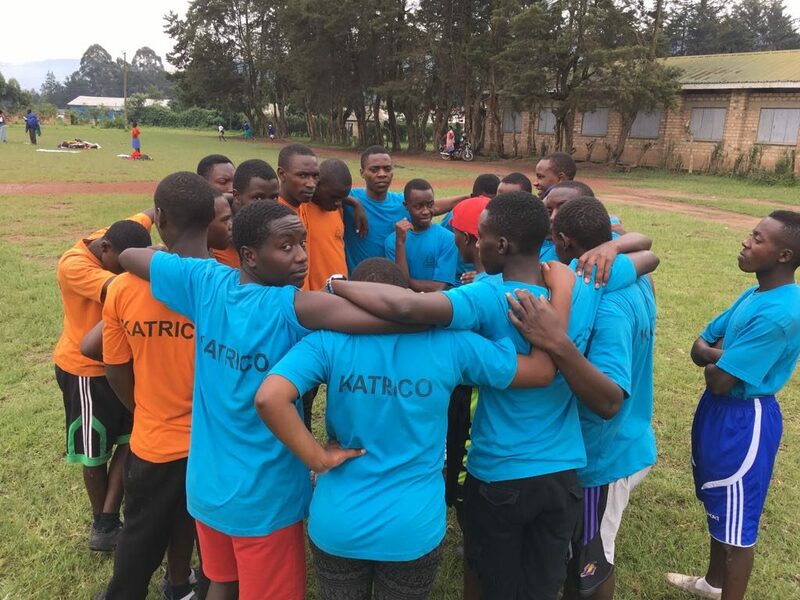 Seeing how teamwork can make things easier and help you to win – bigger is not always better, and throughout our trip we saw girls outplaying boys nearly every day. There was a common curiosity about “mizungu” – holding hands, touching skin and stroking hair being the finale to every coaching session. And the aspirations and hopes for the future were that same as you would find all over the world, with amazing ideas on how to improve communities and the world coming through strongly whenever we asked. 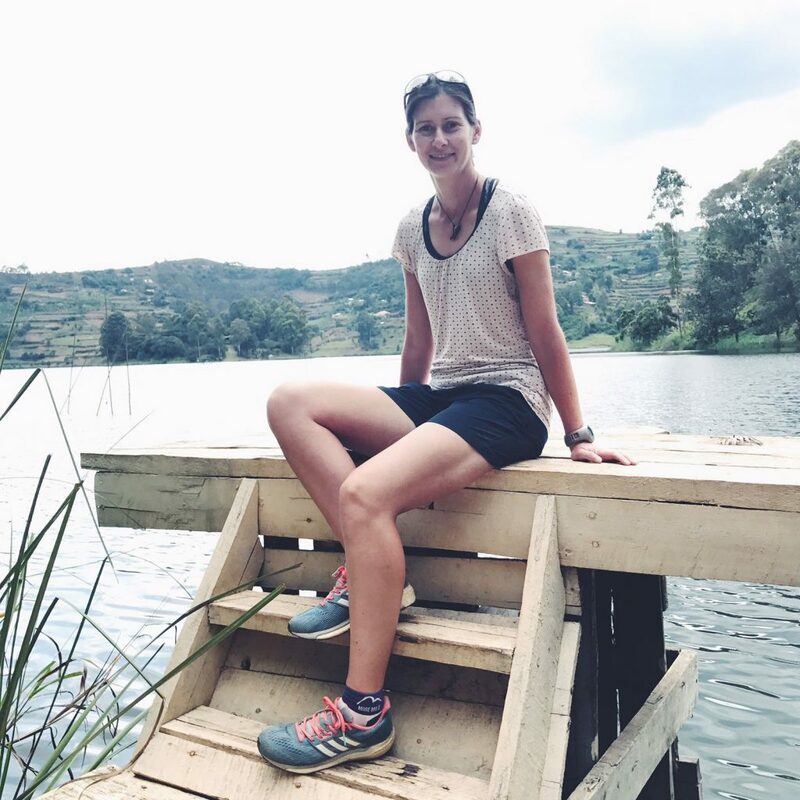 We made such good time on the journey back, despite numerous police checks and the over-effective speed bumps you find every few kilometres on Ugandan roads, that we could stop at the hotel where we started for a last slap up meal. Final goodbyes as Joseph dropped us off at the airport, but no doubts that we will stay in touch with our new friends. If you want to experience this for yourself, then I would wholeheartedly encourage you to find out about volunteering with CWB. You will see and feel more than you can imagine, you will experience teamwork at its best and if nothing else, you will learn to expect the unexpected. 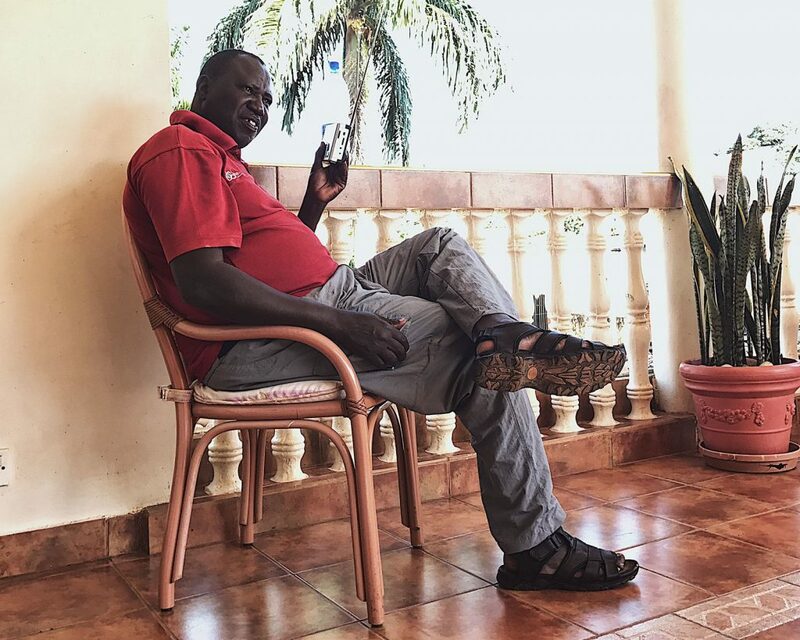 Next Post Uganda South: Teaching the Teachers – Coach Education! What a great round up – you have highlighted all the reasons why I will be returning to this fabulous country for the third time next year. Loving the pictures, particularly of Joseph. What a superb effort! Well done all of you. As promised I followed every step and can honestly say I looked forward to reading of your adventures each day. You’re all a credit to the charity and I look forward to meeting you all again one day.